Fort Fido Dog Daycare & Boarding News Blog: Please welcome our newest Buddy! The o so lovable Buddy was in for his assessment this morning... He has had it planned out for some time now and is finally eligible. He is the brother of the beloved Hunter. 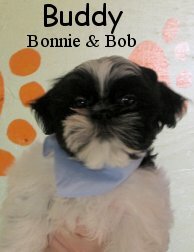 Buddy is a handsome, three month old, five pound, Black and White, Shih Tzu. We took him upstairs and boy did he flourish. He was raring to go, happy, excited and curious. Everything you would want in a new young pup, especially one on their first round of The Fort. Buddy spoke pretty good dog for a baby rascal, he also frolicked some with the others. 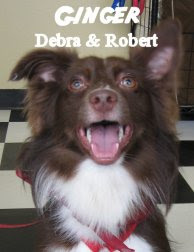 I was told he fell in love with Ginger, a long time Fort Fido friend, she is a spunky, Miniature Australian Shepherd. P.S. Just a heads up, we have another Basic Obedience and Leadership class, featuring trainer Garrett Stevens, scheduled (May 31st - June 16th)... Get signed up if you are interested.